MARTIN T. BIEGELMAN has been fighting fraud and corruption for more than thirty-five years in various roles in law enforcement, consulting, and the corporate sector. He is currently Director of Financial Integrity for Microsoft Corporation, where he built and leads a worldwide fraud prevention and anti-corruption program. DANIEL R. BIEGELMAN is an attorney with the law firm of Baker Hostetler. He is a member of the Litigation Practice Group in their New York office. Daniel is a Certified Compliance and Ethics Professional and a member of the Society of Corporate Compliance and Ethics. He is a contributing author to Building a World-Class Compliance Program: Best Practices and Strategies for Success (Wiley). 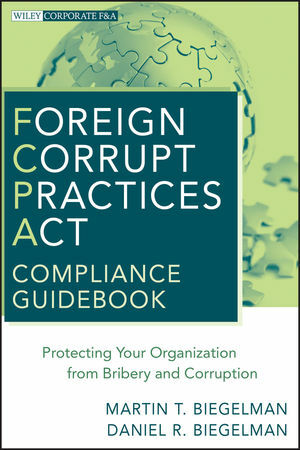 He is also the author of articles on the FCPA and corporate compliance.